Politicians may take credit for creating jobs and economic growth, but it is really the entrepreneurs, who focus on the improbable and impossible, that move the economy and the world forward. Fracking is the best 21stcentury example of how a few very determined individuals are radically changing the world through experimentation and innovation. 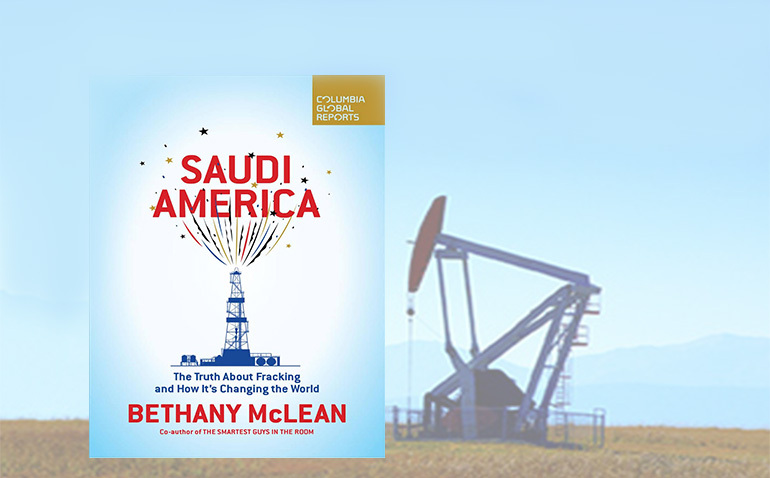 In Saudi America: The Truth About Fracking and How It’s Changing the World, author Bethany McLean has provided a good, concise primer on the shale revolution; how it came about and where it stands today. Most importantly, the book updates the fracking story to 2018 and shows how it continues to roil the global economy and the geopolitical power structure. Entrepreneurs in the oil patch, better known as wildcatters, have harnessed unconventional drilling techniques that make up fracking to include horizontal drilling and the fracturing of shale rock. These are amazing technologies that took decades to develop and perfect and finally struck commercial pay-dirt in 2009 and 2010 with natural gas, evidenced by exploding supply and dramatically falling natural gas prices. Extracting crude from fractured shale was a much stickier proposition, but perseverance began to pay off in 2012 and 2013, again evidenced by burgeoning production and a big fall in the price of oil. The continued evolution of fracking has transformed the energy business from one of scarcities to one of abundances, and it now represents an existential threat to OPEC and their control over the global energy markets. Chapter 8, titled “Permania,” focuses on the Permian Basin in West Texas which is the sweetest spot in this latest phase of the fracking boom. It turns out that the geology of the Permian Basin, which features multiple layers of shale rich in hydrocarbons, is ideal for the unconventional techniques of horizontal drilling and fracturing of shale rock. As the learning curve on these techniques improved, so did Permian production: from 1 million barrels per day in 2011 to 3.4 million today, with expectations of 4 million in the near future. That equates to 35% of U.S. production. In the process, bottlenecks arose as production exceeded pipeline capacity but new pipelines under construction will increase output to refineries in 2019. The International Energy Agency (IEA) now predicts that U.S. oil production will increase from 10.6 million barrels per day to 17 million by 2023. Compare that to the current production of Russia and Saudi Arabia of around 11 million each. This bonanza of abundance has not been lost on the leaders of OPEC member countries. The last four chapters of Saudi America discuss the business and political ramifications of abundant energy in the U.S. It impacts consumer spending, trade flows, capital investment and profit margins for industries across the economy. The economics of energy are further complicated by renewables with tens of billions invested in wind and solar farms and government subsidies that favor some sources versus others. Add to that the anxiety and stress of countries across the world that depend on oil and gas revenues to fund much of their annual budgets. The energy future is complex indeed, but fraught with opportunity. The suddenness with which America has flipped from energy taker to energy maker is stunning. One only has to go back to 2008 to recollect the days of $140 oil, $4.50 gasoline and dire warnings of “peak oil.” Predictions going back to the 1950’s of “peak oil” have proven wrong time and time again. In those 60 years, politicians have preached and preened about energy independence with little effect. But make no mistake, when all is said and done, it is the wildcatters and their roughneck friends that deserve the credit for America’s coming ascendancy in energy.